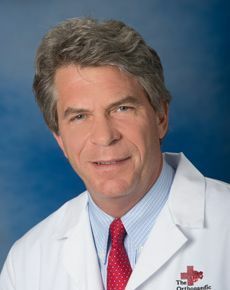 Robert M. Verklin Jr, M.D. Dr. Verklin came to Annapolis with strong credentials in knee surgery and sports medicine, and joined The Orthopaedic and Sports Medicine Center in 1984. His interest lies in the specialty of arthroscopic knee surgery and sports medicine. A native of Pittsburgh, Pennsylvania, Dr. Verklin grew up as an active swimmer, golfer, and skier and he continues to enjoy these activities today. Dr. Verklin lives in Annapolis with his wife, and three children.